All the worlds a stage and every word a note. And everyday is filled with songs you never knew you wrote. 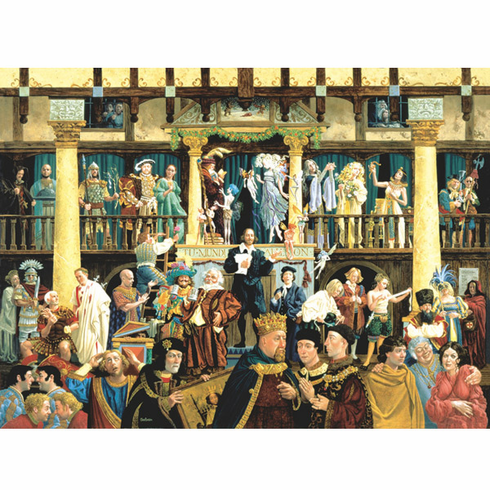 Live vicariously through Shakespeare's work with this 1500 piece puzzle. This puzzle measures 24"X33". This puzzle is Eco-Friendly and printed with Soy-Based Inks on Recycled Board. Proudly made in the USA.